One bus, multiple routes. Choose the best solution. 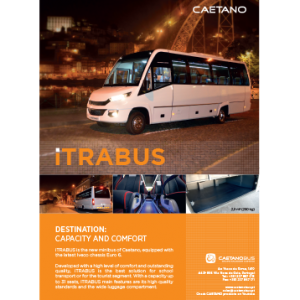 Developed with a high level of comfort and outstanding quality, iTRABUS is the best solution for school transport or for the tourist segment. 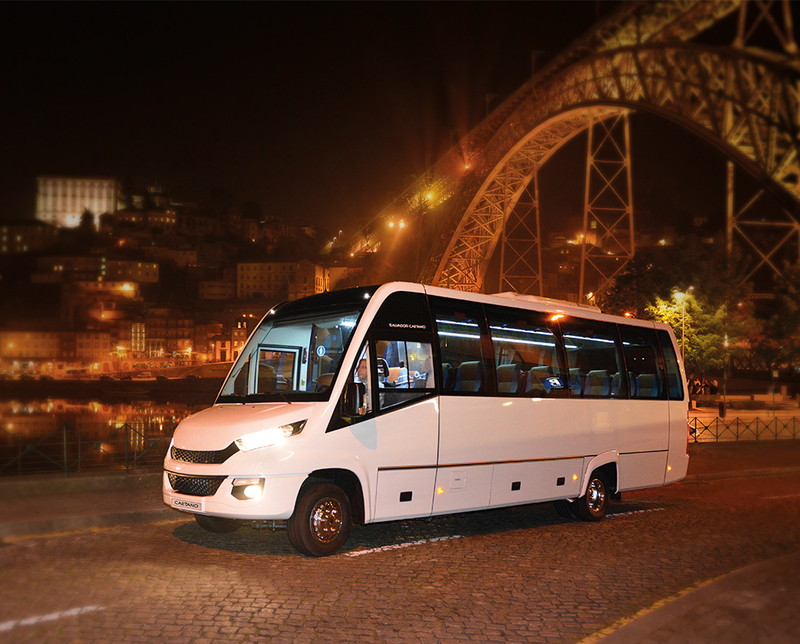 With a capacity up to 31 seats, iTRABUS main features are its high quality standards and the large luggage compartment. 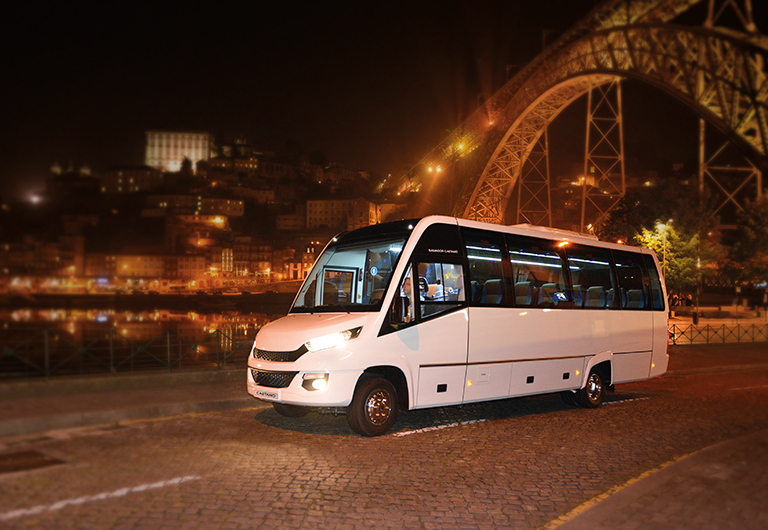 It offers a maximum seating capacity of 31 passengers, never compromising their comfort. Provision for wheelchair ramp. Spacious bus corridor with a width of 405 mm.